Come shop at the bi-annual Briarwood garage sale starting Wednesday October 4 through Saturday October 7th. Briarwood is located east and south of 135th and Mur-len. Over 500 families live in this popular Olathe subdivision. Sharon Sigman & Team are sponsoring the large dumpster and charity pick up truck. 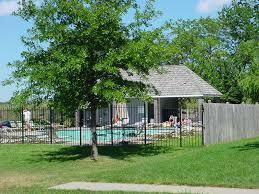 Dumpster will be on dead end street by entrance to Briarwood pool from Wednesday Oct 4th thru October 18th.